Beechfield House 4* is an independent country hotel, complete with a fine dining restaurant, luxuriously stylish bedrooms and lovely gardens. 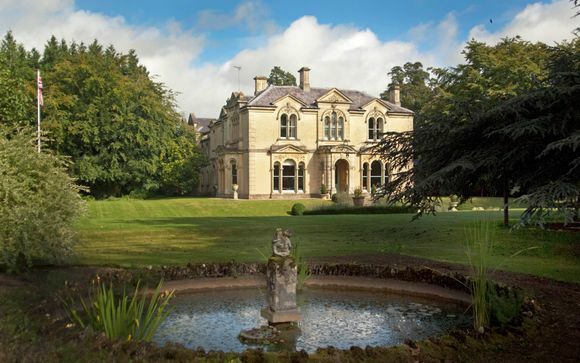 It is perfectly placed close to a number of wonderful local National Trust properties as well as the delightful towns and villages of Castle Combe, Bradford on Avon and Avebury. During their stay, our members will be accommodated in a Classic Room, complete with a choice between daily breakfast and a half board package! Wiltshire is rich in the reminders of ritual and packed with not-to-be-missed sights. Its verdant landscape is littered with more mysterious stone circles, processional avenues and ancient barrows than anywhere else in Britain. 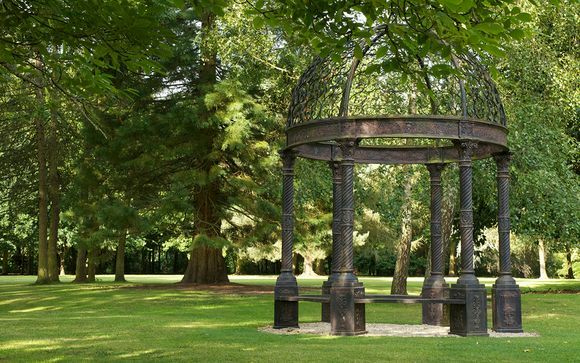 There is so much to see and do around and about Beechfield House. The hotel is within easy reach of a wealth of historic, scenic, and sporting attractions. In whichever direction you head, leave the main roads behind you and you'll quickly find yourself in idyllic Wiltshire countryside. Wiltshire is peppered with farms, local pubs, and pretty former wool towns and villages. Explore nearby Bradford-on-Avon, Castle Combe, Corsham, Devizes and the National Trust village of Lacock. 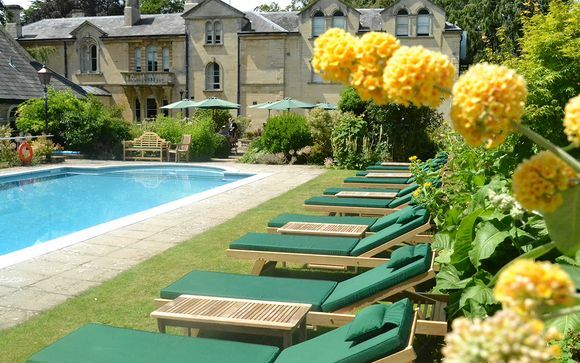 A wonderfully relaxing hotel near Bath, this country house style accommodation comprises 24 good-sized bedrooms. The hotel has been awarded the Inspectors Choice 2018 and guests often say the 2 AA rosette restaurant has to be one of the finest restaurants in Wiltshire - as do local residents! All the Classic Rooms have divine, pure Egyptian cotton sheets and plush Egyptian cotton towels. The rooms are en-suite, have digital widescreen LCD TVs, a hairdryer, complimentary toiletries in the bathroom, and coffee and tea making facilities. The perfect home away from home! 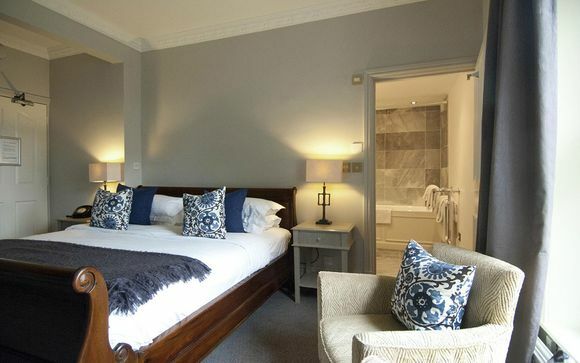 This offer is based on a choice between a Bed and Breakfast stay and a Half Board Dining Basis (Breakfast and evening meal served in the main restaurant - excludes drinks). Dining is a treat at Beechfield House. 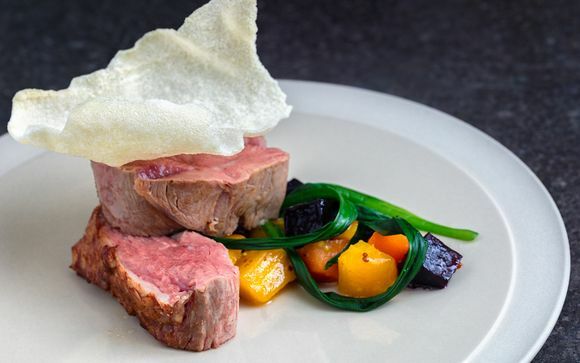 With 2 AA rosettes awarded for their delicious food, various options are available including room service, bar snacks, afternoon teas, and an A la Carte menu. Many vegetables and salads are homegrown, and other produce, including meat and poultry, is sourced from nearby farms in Wiltshire and Somerset. Please note: some dining outlets/menu items and premium, branded and international drinks may not be included and may incur a surcharge payable locally. Meals, snacks and drinks may be available at selected times only. Children will only be booked on a bed and breakfast board basis. Any dinners or additional meals they consume at the hotel will be payable locally. In addition, if guests staying on a Half Board basis spend more than £25 per person on their included dinner, they will be required to pay the difference at the hotel. There are many attractions in Wiltshire, including Longleat Safari Park, Castle Combe Motor Racing Circuit, the ancient sites of Avebury and Stonehenge as well as the Lacock and Castle Combe villages where parts of Harry Potter, Downton Abbey and War Horse were filmed. The hotel is also home to an outdoor swimming pool, which can be enjoyed by guests during the summer months! The address of your property: Beanacre, Melksham SN12 7PU. Distance from Melksham Train Station to the Beechfield House Hotel 4*: 1.9 km / 5 minutes. Please Note: This offer is Non-Refundable and Non-Transferable.